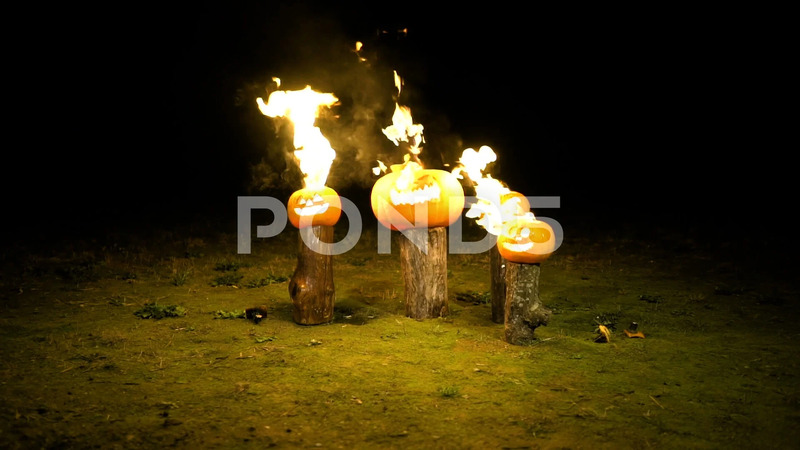 Description: Burning halloween pumpkins on tree log in darkness, field, mist, dusk. Scary funny angry big orange pumpkin exhales fire, flame and smoke, breathes color steam. Slow motion.